Tyler helps spread the word about App Press, and helps new customers get started with our software. How do you calculate the impact a mobile app has on your business? If you're considering creating an app for your business, an easy way to recognize a return on your investment (ROI) is adding features that directly impact your bottom line. Common ways to make money through an app are advertising with services like AdMob, selling goods through an e-commerce store, or offering in-app purchases. Here's a closer look at how a mobile app can expand your reach and open up new channels for revenue. 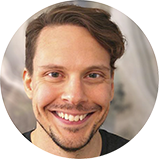 Taylor Chamberlain is a certified ACE personal trainer and nutritionist based in Indianapolis. She's built a successful business, aimed at helping her clients achieve their own fitness and nutritional goals. Taylor launched her own fitness app in October to help more people achieve their goals, and to differentiate herself from similar entrepreneurs. 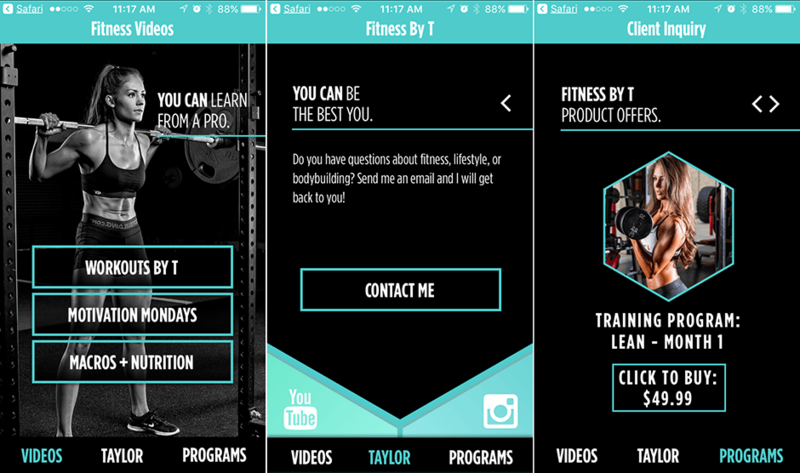 Taylor recently started offering in-app purchases for fitness programs, and it's already been a huge success for her business. In the first day of sales, she made back most of the money she spent on initial app development. Over time, her app will more than pay for itself - it will become a vital, thriving part of her business, as important as her website or social media presence. Taylor takes a highly personalized approach to helping her clientele set and achieve their fitness goals. However, her ability to help people was limited to the number of clients she could work with personally. She wanted to expand her reach beyond her popular Instagram and YouTube channels, and premium content delivered through her app is helping her reach that goal. The first step to realizing ROI of an app for your business is deciding what success means for your app. In Taylor's case, she planned to use her app not only as a way to reach more people and deliver useful content, but also to grow her business. In-app purchases for carefully planned fitness programs made sense in Taylor's case, and it's already providing a good return on her initial investment. What about apps without payment options? Driving revenue directly, whether you're displaying advertisements, providing in-app purchases, offering recurring subscriptions for premium content, or selling goods through an e-commerce store are obvious paths to seeing a return on your investment. However, there are many ways to measure whether an app is a success, even if your app doesn't sell anything. Not every app is designed to make money directly - however, many businesses can realize a ton of value from a mobile app. Depending on your business, revenue may not be the only key indicator of a successful mobile app. You can measure the impact on your business in other ways - how much new business a mobile drives to your company, how many times your app is downloaded, how many active users are engaging with your app, or how many of your users keep coming back to your app. An app can also be a useful marketing tool for your company - it's not reasonable to expect every app to go viral, but you can definitely create an app that will drive recognition for your brand.